House Democratic Leader Nancy Pelosi called President Donald Trump’s chief strategist a “white supremacist” Thursday, saying he has no business serving on the National Security Council. Her comments earned her a swift rebuke from other lawmakers, including Republican Sen. Mike Lee, who said her comments were unhinged. Pelosi’s comment had echoed the torrent of media hit-pieces against Bannon that began last year during Trump’s campaign. “It’s a stunning thing that a white supremacist, Bannon, would be a permanent member of the National Security Council,” Pelosi said. Lee said that Pelosi’s comments should be focused on policy—especially amid the Democratic Party’s stunning losses in November and during the Obama administration. Bannon became the chief of Breitbart News after the death of its owner, Andrew Breitbart, in 2012. 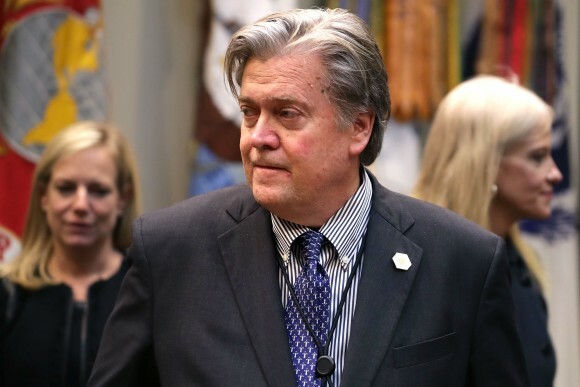 Bannon left the publication to become CEO of Trump’s presidential campaign in August 2016, initially planning to return to Breitbart after the election, but was offered a job as chief strategist for the White House when Trump won. 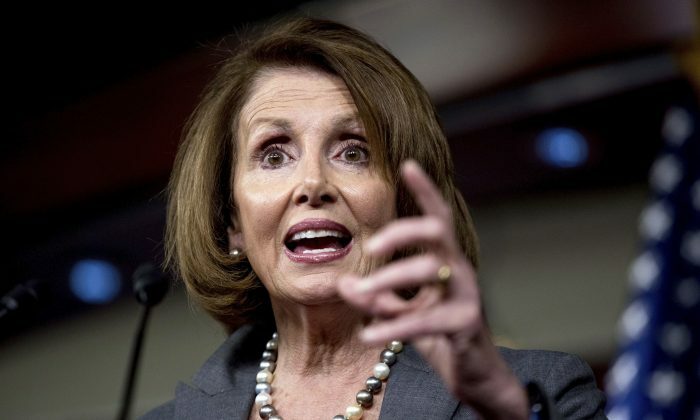 During her news conference, Pelosi said her party would fight the Republican-led effort to dismantle Obamacare, also known as the Affordable Health Care Act.